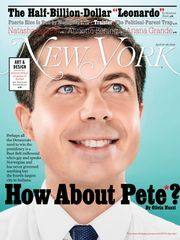 Question: I’m as obsessed with the Strategist as they come. 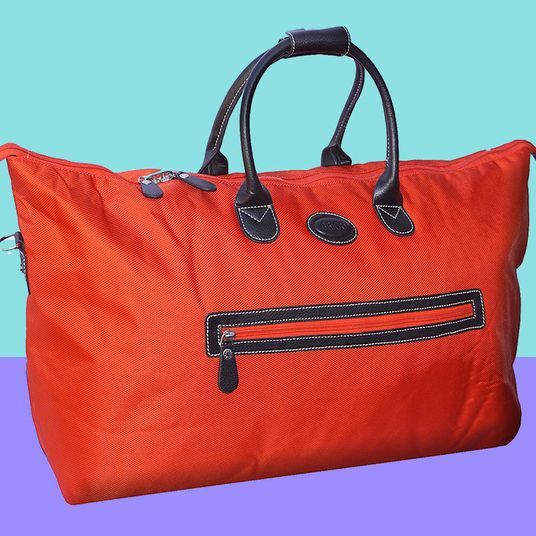 I’ve been traveling more lately and have been in a dilemma for personal bags/underseat bags. I resort to either a tote (not really secure enough) or a backpack I already own (takes up so much space under the seat that my legs aren’t comfortable). Was wondering what you guys use or recommend! 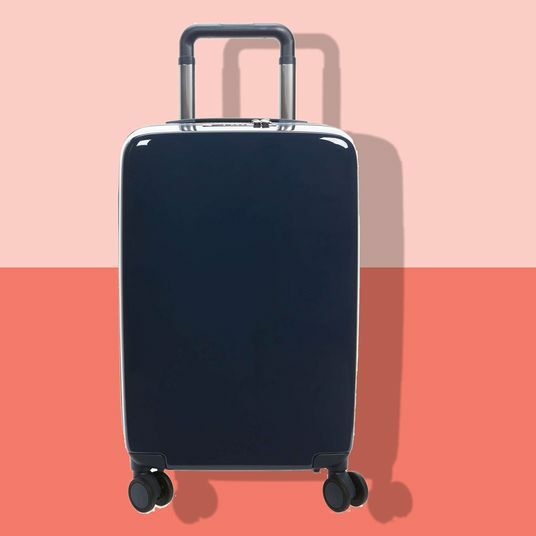 I love the concept of ones that attach to your carry-on but any ideas would be great to read! 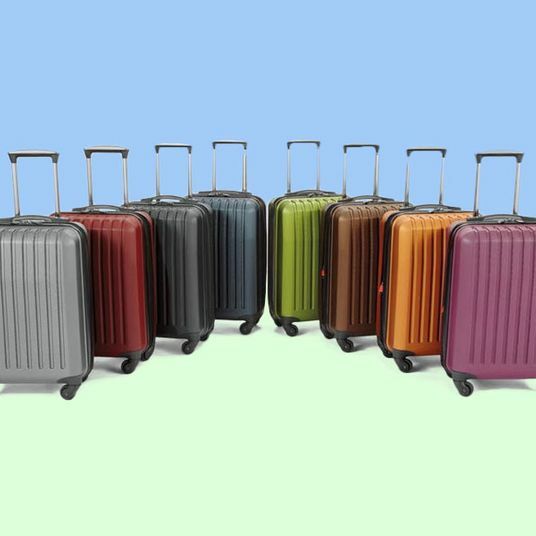 Between finding a carry-on bag that’ll fit in most overhead compartments, a toiletry bag or Dopp kit for your tiny 3-ounce bottles of shampoo, and a personal item to hold everything you’ll need for in-flight comfort and entertainment, solving the packing equation isn’t easy. To make things even more complicated, there aren’t even standard regulations of what counts as a personal item. 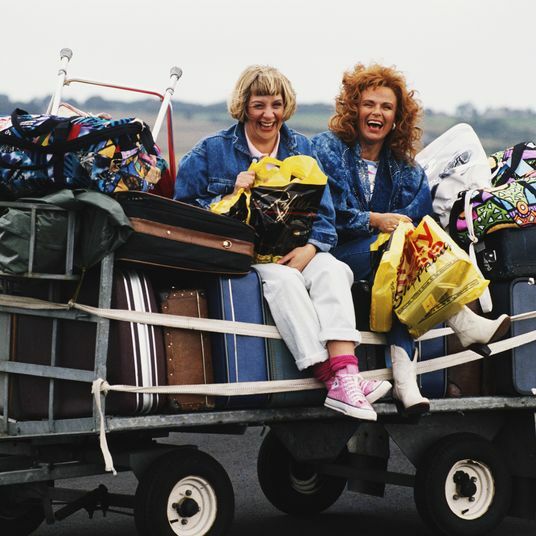 According to the TSA website, the “size dimensions of carry-on baggage allowed in the cabin of the aircraft vary by airline.” That leaves a lot of room for interpretation, but generally a personal item is something that fits under the seat in front of you. Jet Blue defines that as a bag smaller than 17 inches long, 13 inches wide, and 8 inches deep. 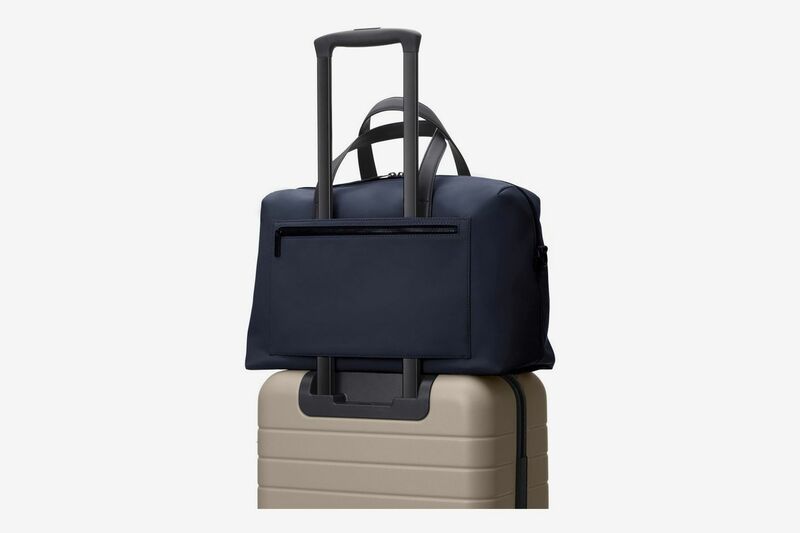 On United, it’s 17 x 10 x 9, on American Airlines it’s 18 x 14 x 8, and Delta simply says a personal item is a “purse, briefcase, camera bag, or diaper bag,” with no specific size limit. 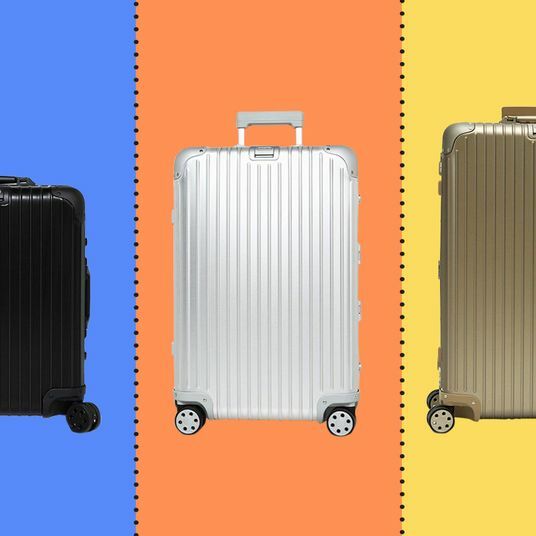 So while we’ve asked frequent fliers to recommend rolling carry-on bags, duffels, and backpacks, we polled our own writers and editors about what they use themselves. 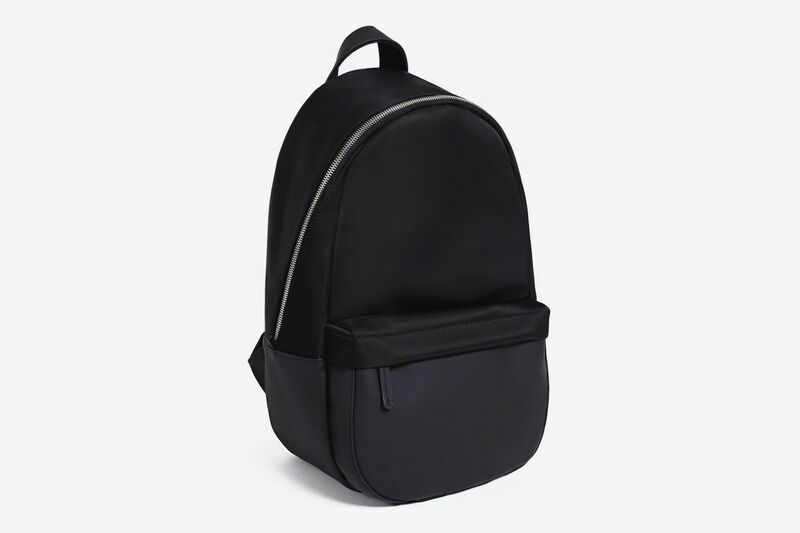 Turns out there are lots of backpack fans among the Strategist editors, but we’ve also got picks for totes and even a fanny pack that fits perfectly in a seat-back compartment for easy access. I went on two back-to-back trips over the holidays. For the first one I took my trusty, ten-year-old Filson rucksack (a brand that I believe just makes you look like a cool traveler); but at the end of every trip, with all the newly acquired knickknacks and poor repacking, it’s nearly impossible to zip. 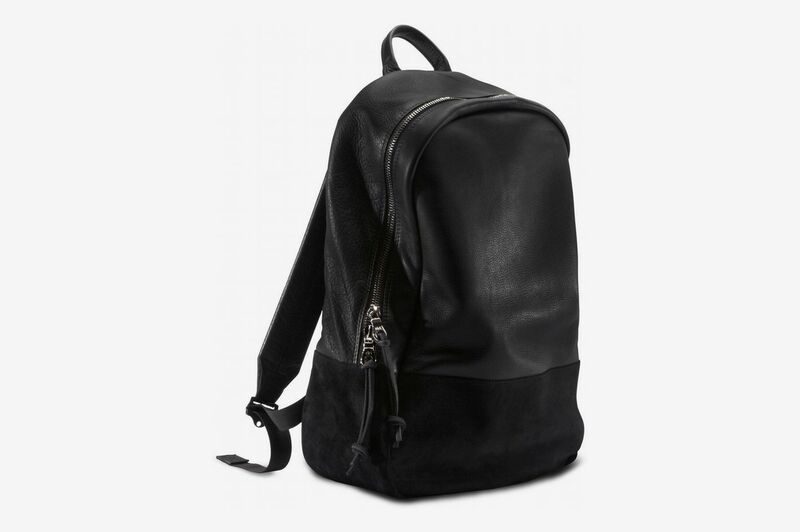 And it usually clocks in at around 15 pounds — thanks to its twill canvas and metal hardware — with its leather straps digging into my shoulders. 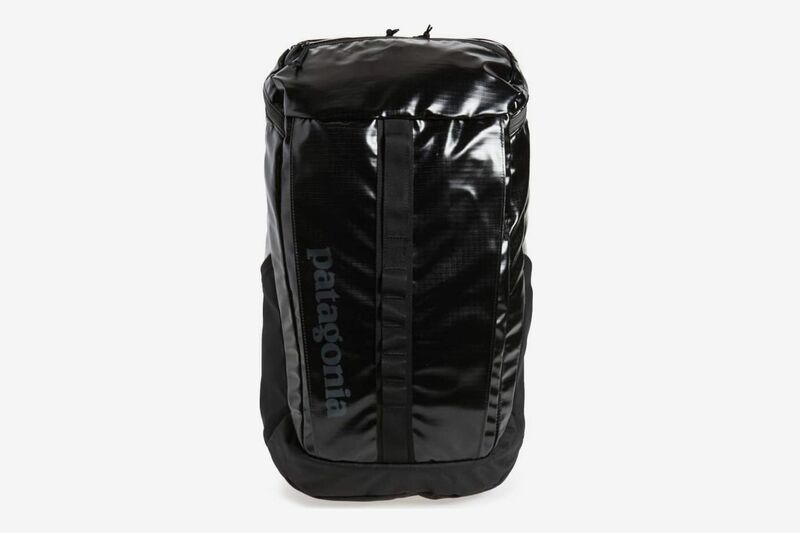 So, back in the city, with 12 hours before my next flight, I went straight from Newark Airport to REI and picked up one of these Patagonia daypacks. Back home, packing up for the second trip, it stored all the previous contents and then some. There was even enough room left at the top for my neck pillow, which is always the last thing considered and ends up being sort of carried instead. 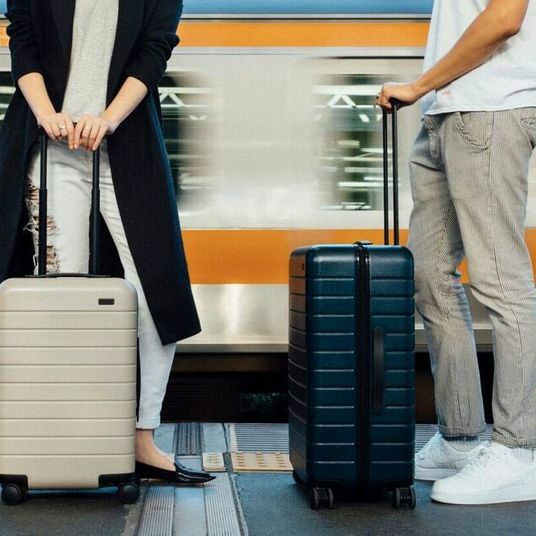 There are one zillion separate little pockets and perfectly sized compartments for things like chargers and night guards and passports and AirPods, as well as slim sleeves for a laptop and magazines. It opens at the top, which means things won’t come tumbling out when you need to grab something. And while there’s a high level of organization happening on the inside, I quite like that the outside doesn’t look all that tricked out. I’m a big backpack guy, especially when flying, and this Haerfest backpack has become my go-to. It’s compact enough to slip under any seat in front of me, even when packed to the brim. One of my favorite features is a slightly hidden back panel, separate from the main compartment, with its own zipper. It’s a convenient place to store my laptop, so I don’t have to dig through all of my junk to get to it. 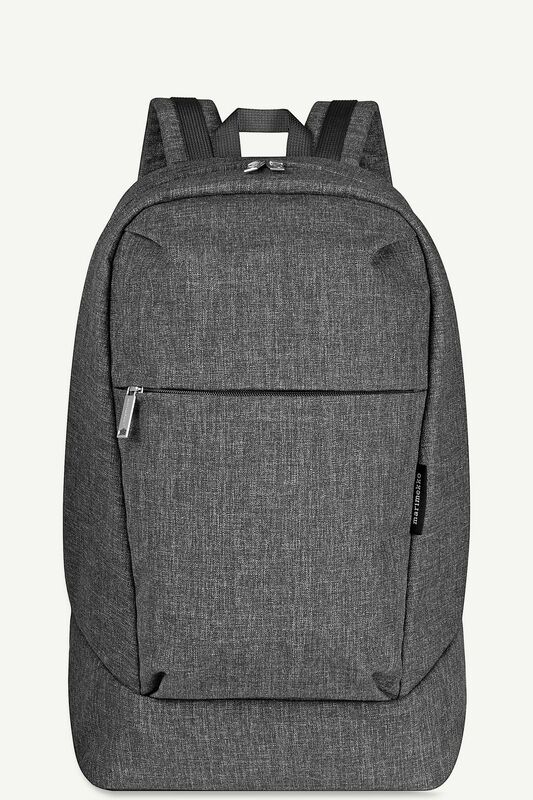 But the Haerfest backpack also just looks and feels nice, sturdy yet sleek, and always comfortable to carry. 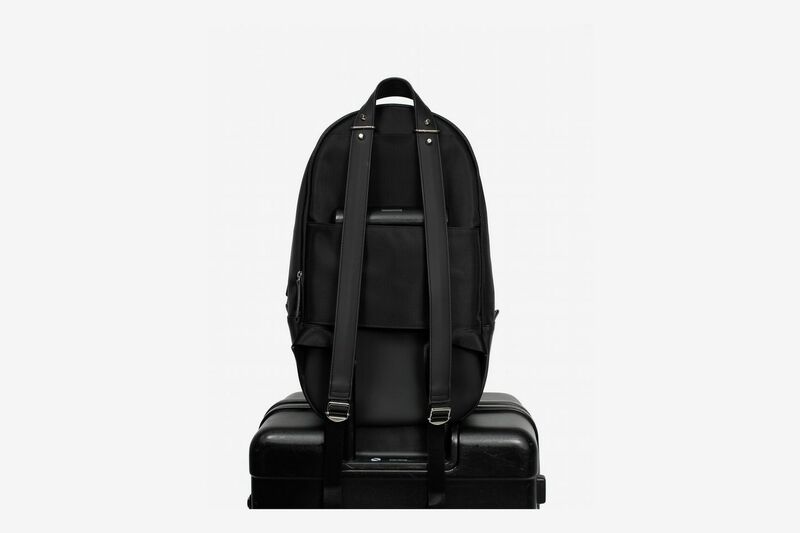 The Haerfest backpack is also available in a “travel” version, which attaches to a rolling carry-on bag. 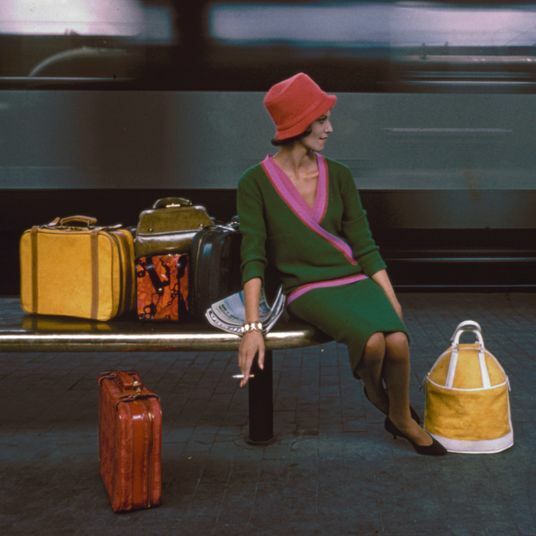 When I left my job as an assistant to a Famous Person, I was gifted a monogrammed T. Anthony carry-on luggage set that included a rolling suitcase and a matching, attachable travel tote in black canvas with white leather trim. Because I’m very nice to my stuff, sometimes to a fault, I rarely take the suitcase on trips. It’s also on the small side and doesn’t fit as much stuff as my everyday roller. 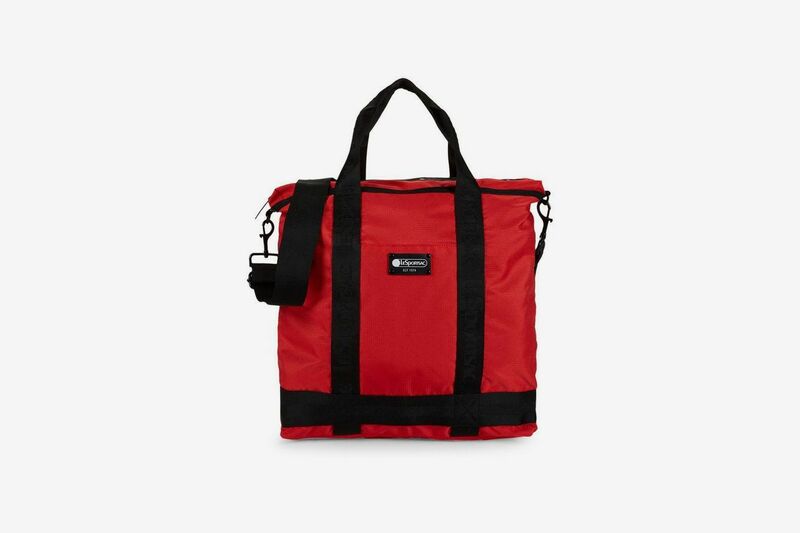 But the carry-on tote is the perfect under-seat size, and its rigid structure means that I can organize all my crap better than when I use my Fjällräven backpack. There are also multiple pockets on the outside, great for stashing boarding passes and passports. I would never buy this on my own, but having it makes me feel like a fancy, very organized, jet setter. It can get heavy though, especially when you’re used to strapping everything on your back instead of on one shoulder. 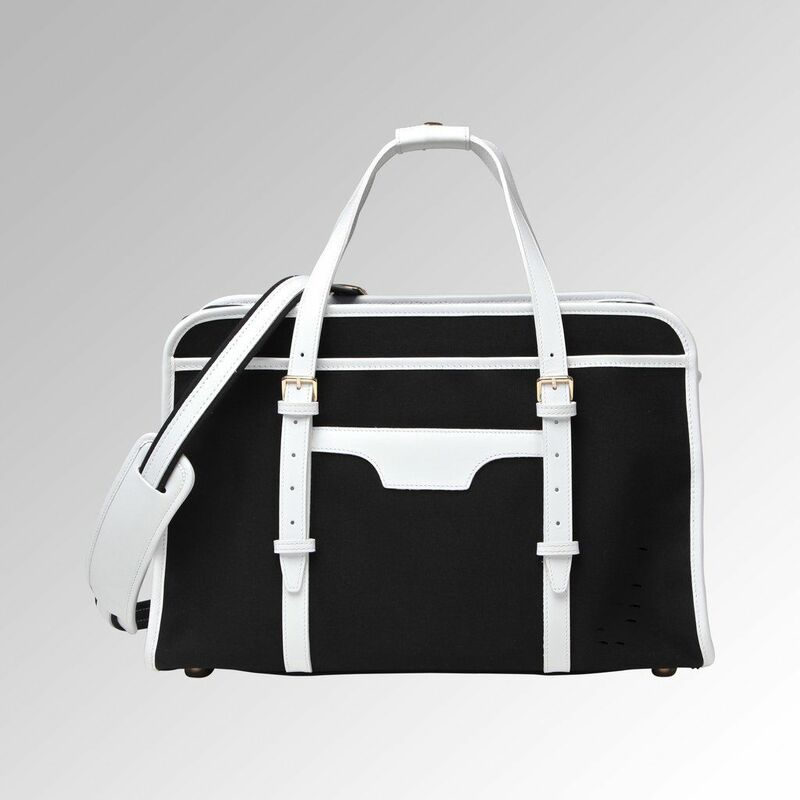 Note: The T. Anthony bag attaches to the handle of a rolling carry-on bag. 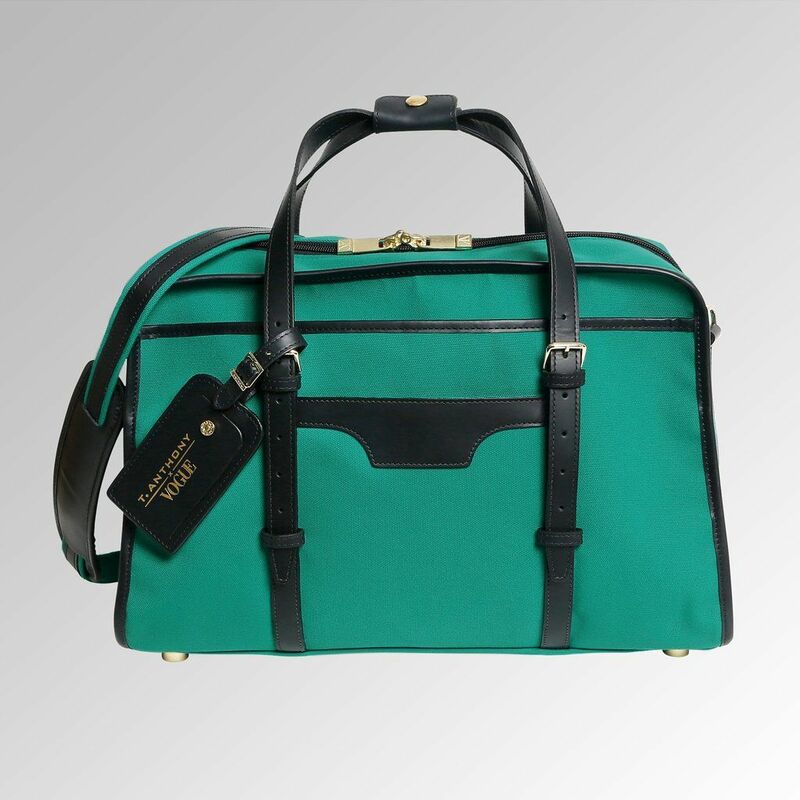 A similar version is also available in a very eye-catching teal. 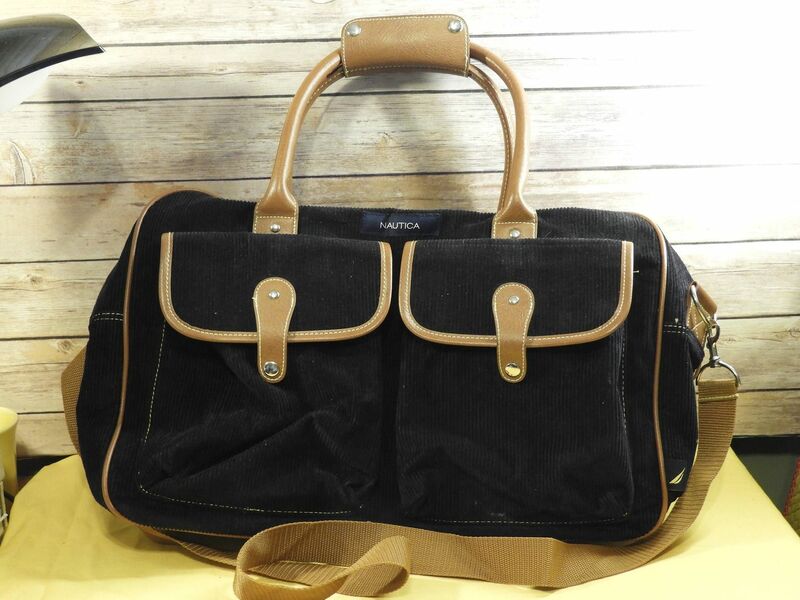 My favorite weekend bag is a weird corduroy duffel (a very rare texture for a carry-on), with these great contrasting faux-leather details and a handle. It looks like a vintage ‘70s Pan Am thing, but it’s actually just vintage T.J. Maxx Nautica. It fits right under the seat if you lack the arm strength, and you can fit at least a weekend’s worth of clothes in there. Whenever I bring it on trips, people ask about it. I’ve had to get creative with mine since I tugged too hard on the zipper once trying to force a laptop in there (I was late for a flight, naturally) and the thing broke, but a paper clip is keeping it in business for now. 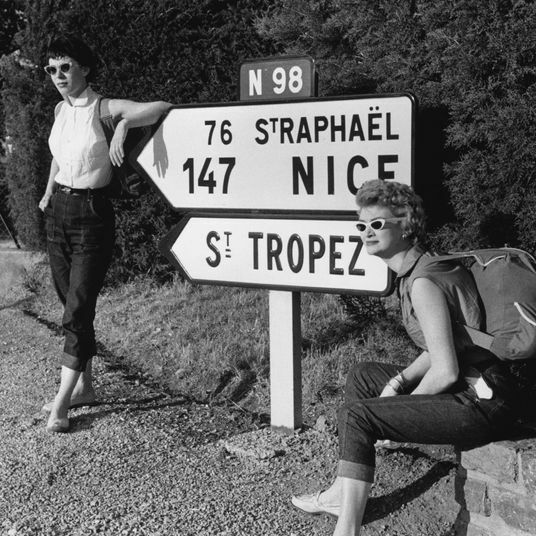 Currently you can only buy these bags on consignment from eBay, Grailed, or Etsy, but it’s such a cheap, stylish thing to bring on trips, that I’d recommend it. 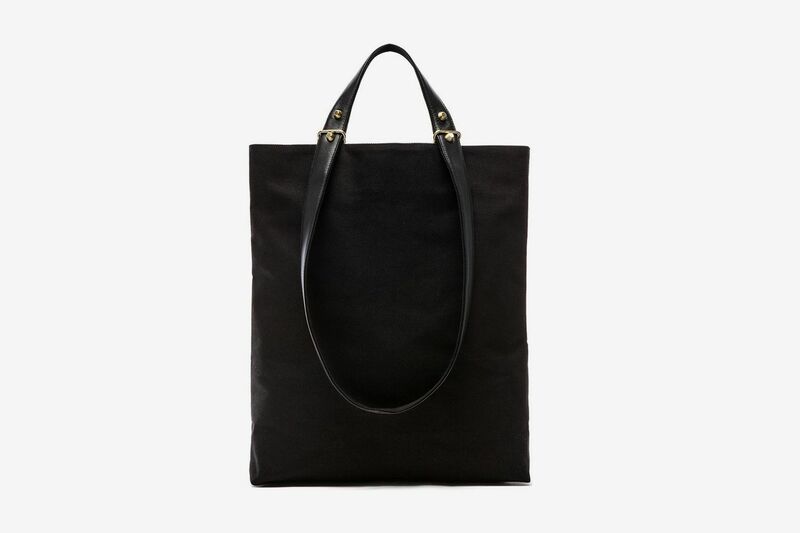 While the Paper bag is no longer for sale, here’s a (44 percent off) LeSportsac tote we really like. For years I didn’t think I was a backpack person, but I bought this bag out of necessity when I was in Japan and realized I’d bought too many face masks and Japanese fashion magazines to fit in my original carry-on. And now I love it and take it everywhere. 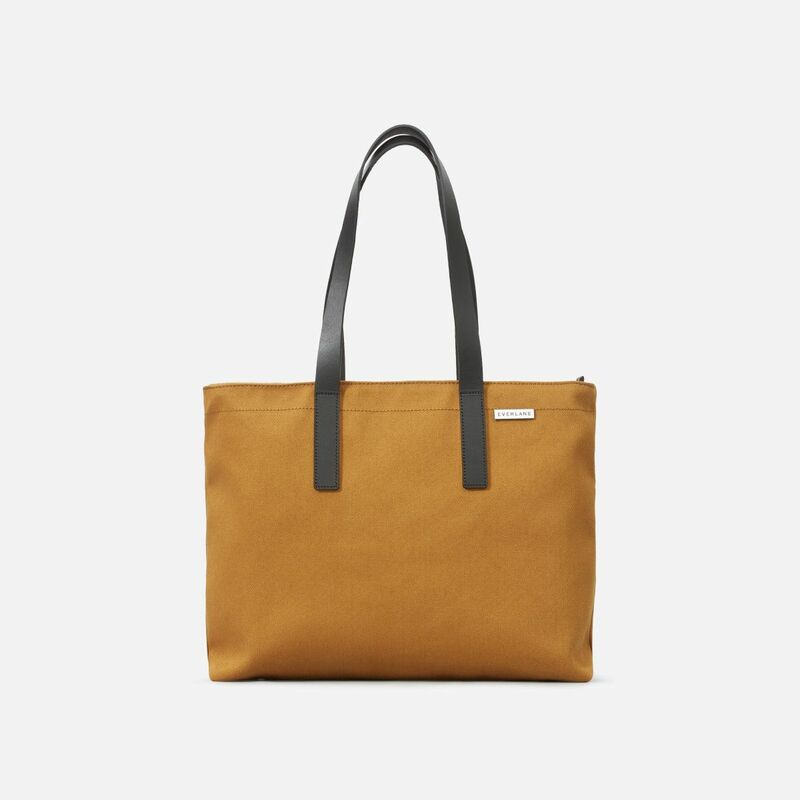 I like how it’s sleek and unfussy on the outside, but actually has tons of inner compartments (two zippered ones for your laptop and tablet, and two open pockets for tossing in headphones, lip balm, or sunglasses). After exclusively using tote bags for years, I’m amazed how much more comfortable it is to carry a bag on my back without having all its weight digging into one shoulder. My personal bag for the past few years has been this backpack, which I really don’t keep anything in besides a laptop, Kindle, and Dopp kit (I like to keep a toothbrush and deo handy in case of emergency). For the longest time I used a Herschel black backpack, which lasted three years before I felt it needed to be retired. I cut the Herschel tag off the front pocket with a seam ripper and also removed the brown leather tabs and it looked a lot less schoolkid-ish. I like the idea of a tote and used to keep stuff in a Monocle Rootote but it was always falling over and spilling its contents. No more. 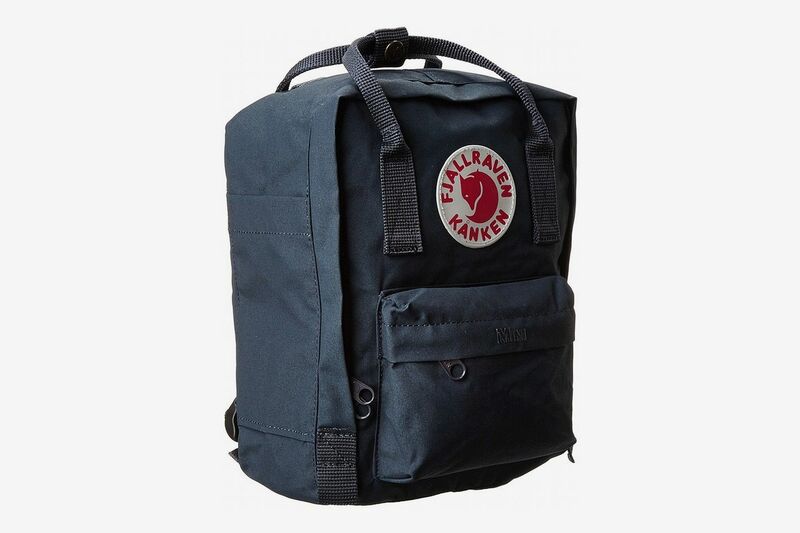 Confession: I love my Fjallraven Kanken. I know, I know. 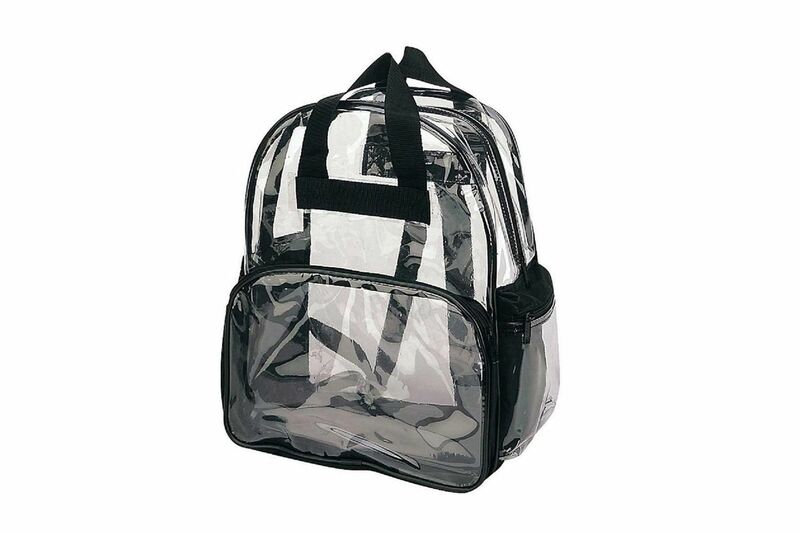 Everyone has this backpack. And yes, you will look like a Scandinavian school child (at best) or a 2012-era hipster who has somehow managed to time travel (at worst). 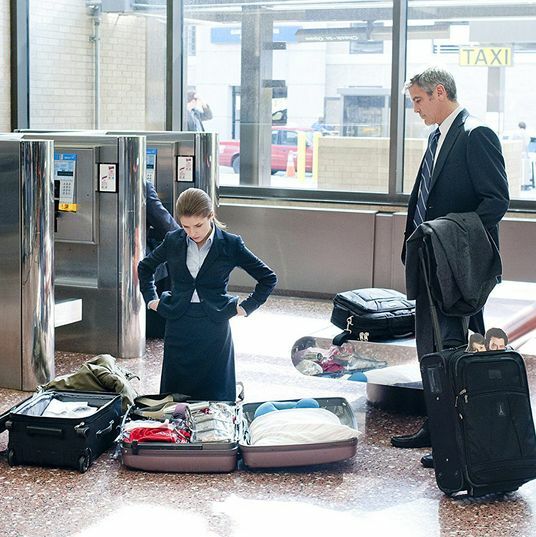 But this backpack is so light, so compact, and so durable it really is ideal for stuffing under tiny airplane seats. 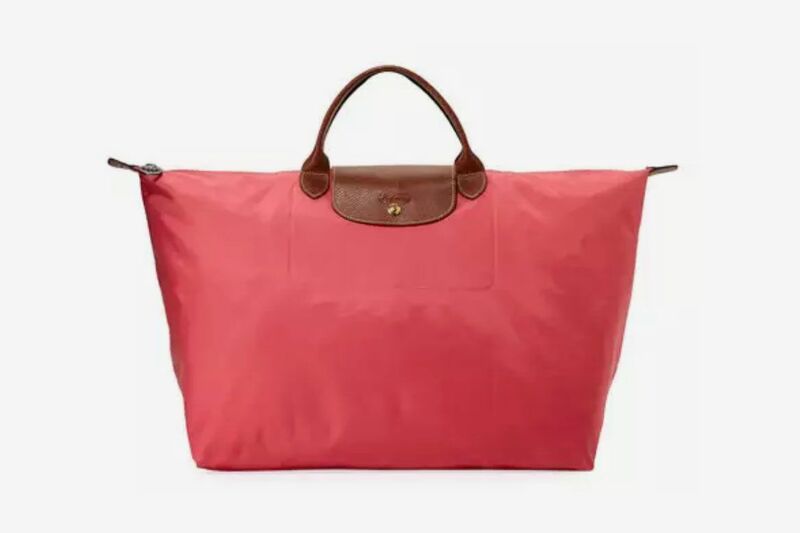 Plus, the Kanken is basically like Mary Poppins’s magic bag: You can fit way more stuff inside than seems humanly possible given its petite size. 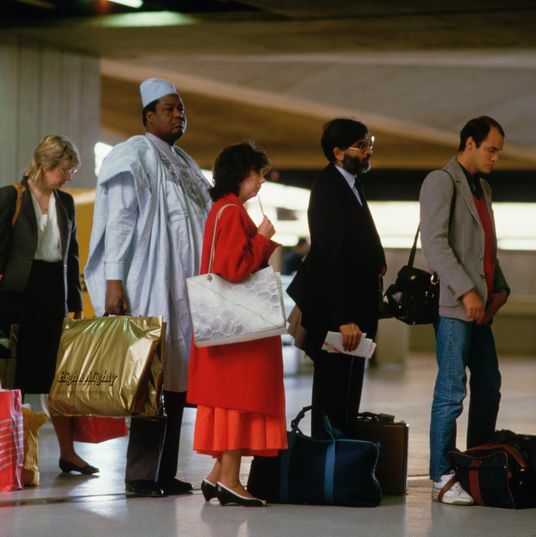 I throw my passport, money, ID, phone, headphones, mints, and face wipes in my fanny pack (worn across my chest, not my waist) less out of a fear of pickpockets and more out of a desire to remain completely hands-free in the airport. 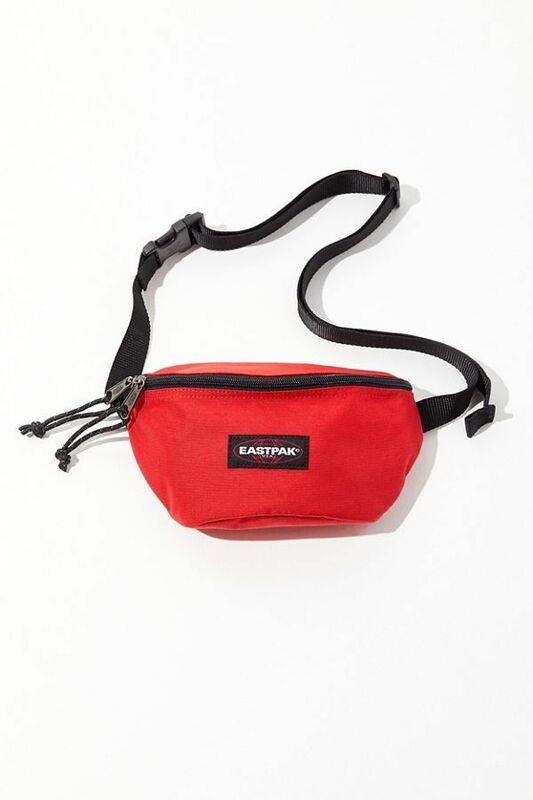 Then, once I’m on the plane, the fanny pack fits nicely in the seat-back pouch. All my essentials are within easy reach and I don’t need to dig through my backpack every other minute. A win for both me and my traveling companions. 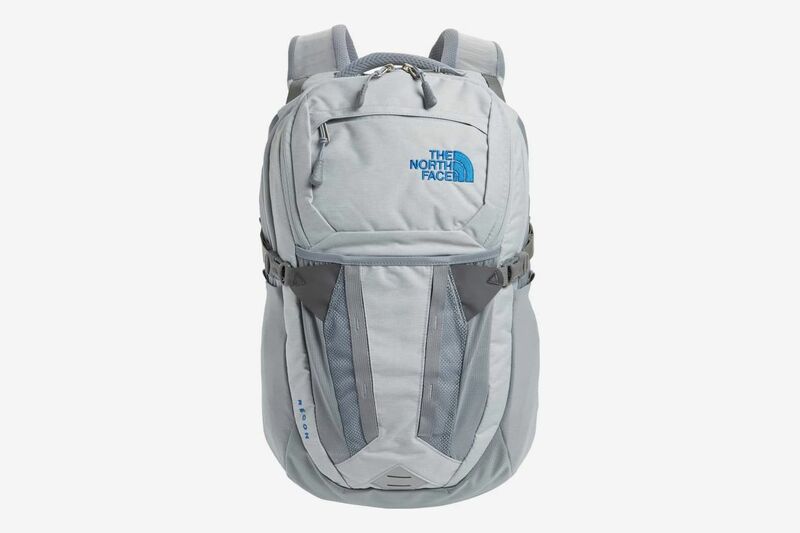 I originally bought this backpack for college, but it has since found a new life as my go-to personal bag for travel. This model is a newer version of the one I have, but it’s the same idea. (I like to tell myself that not much time has passed since college, but let’s just say the current model looks substantially more contemporary than mine). I tend to overstuff my rolling carry-on with clothing and toiletries, so I use the backpack for everything else: my laptop (it has a built-in compartment), four books that I’ll probably never open but feel I need, and whatever miscellaneous items I realize I forgot after zipping up the carry-on. 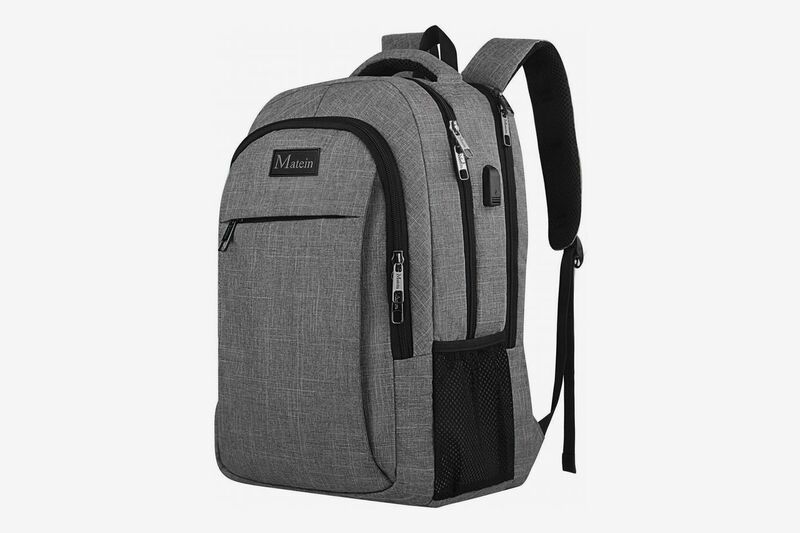 The strap across the chest is great for support if it’s a bit heavy, and the backpack is the perfect size to easily slide under a seat. Also, the expandable pocket in the back somehow always manages to come in handy. 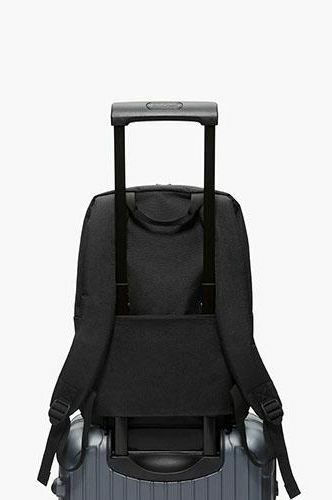 Away’s roomy, waterproof bag will also loop around the handle of your carry-on. 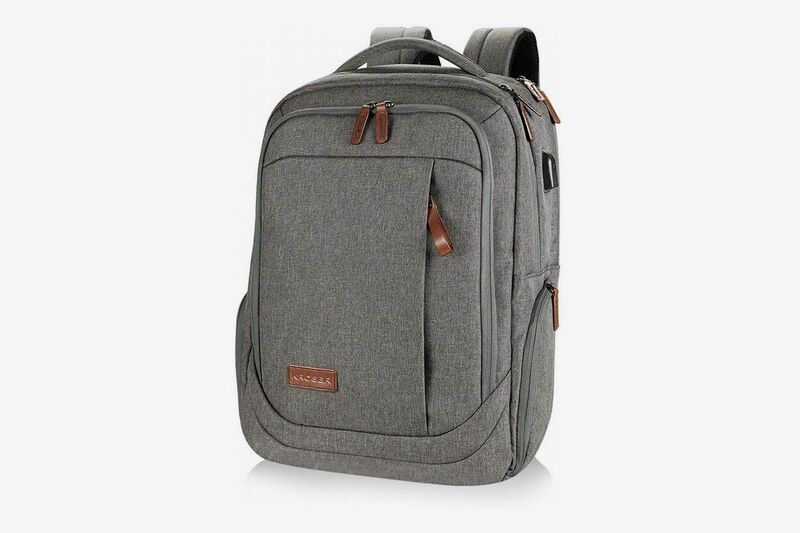 An attachable backpack, Lo & Sons’s Hanover bag also includes a removable insert with separate pockets for all your essentials, like a water bottle sleeve and a dedicated laptop section.